MOSCOW, September 3. /TASS/. Russian naval and long-range aircraft have jointly practiced combat training maneuvers over the Mediterranean, the Russian Defense Ministry said. "Within the framework of a large-scale exercise by a Russian naval and aerospace group in the Mediterranean all naval and long-range planes involved arrived in the designated area. The crews practiced one of the most complicated elements - refueling in the air. Crews of Sukhoi-30SM planes of Russia’s naval aviation carried out routine flights over the Mediterranean," the Russian Defense Ministry said. Refueling in flight is a mandatory part of the flight training program and one of the most technically complex tasks, the Defense Ministry said. "It requires high professionalism and psychological self-control. At altitudes ranging of 2,000 to 8,000 meters Sukhoi-30SM crews approached the UIyushin-78 tanker plane at speeds ranging 500-550 kilometers per hour and had their tanks filled. 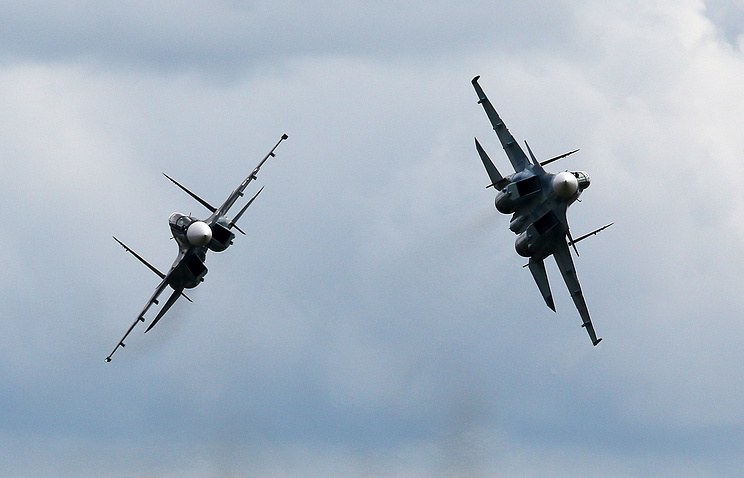 The planes were at a distance of just twenty meters," the Defense Ministry said. 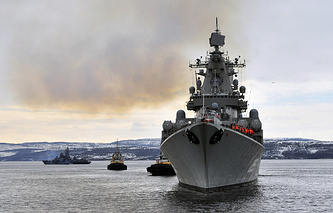 The Russian Navy’s commander-in-chief Vladimir Korolyov told the media earlier that 26 Russian ships, including two submarines, and also 34 planes of the Aerospace Force will conduct an unprecedented routine exercise in the Mediterranean on September 1-8. The exercise will involve missile firing practice.